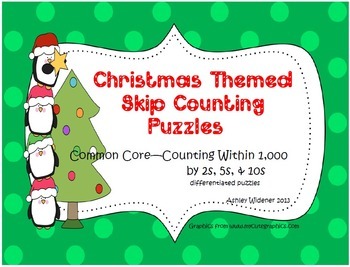 This bundle includes 15 differentiated Christmas themed skip counting puzzles by 2s, 5s, and 10s. 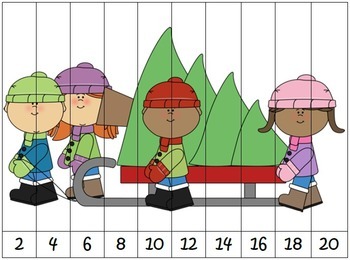 There are five puzzles for each, for a total of 15 puzzles, plus 3 title pages. 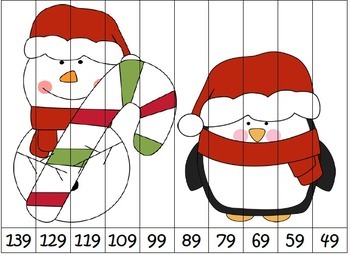 These puzzles can be used to differentiate among your students, because some of them start at zero, some of them start at random numbers, and others count backwards. 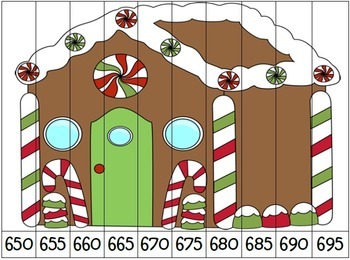 This makes the perfect Christmas math center.